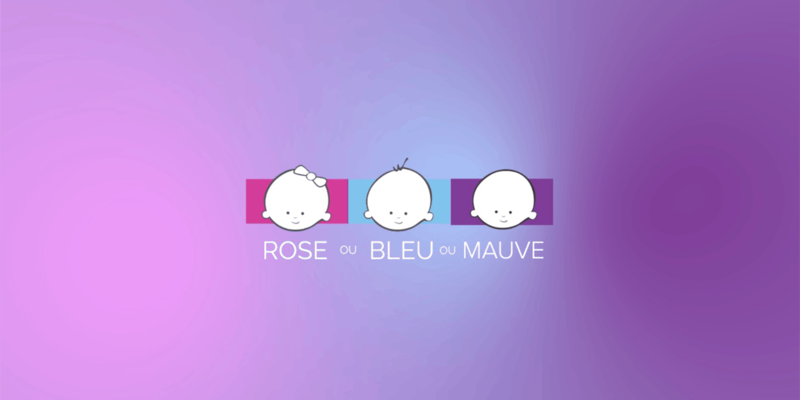 Rose ou Bleu changed its name to Mauve. Before 2015, Target stores featured two distinct colors besides the store’s signature crimson. Pink represented girls clothing, toys and bedding, often adorned with dolls and princesses, while blue indicated action figures and sports and, by association, boys’ items. In 2015, Target changed the game by taking away references to gender in departments that they decided didn’t need to be separated on that basis. The goal was to focus on the idea that a “kid is a kid” and to represent gender-inclusivity in their locations nationwide. This decision turned out to be a precursor to a national conversation in 2016. That year, both North Carolina and Mississippi passed laws colloquially known as “Bathroom Bills.” Many felt these bills were discriminatory to the LGBTQ community, and big brands made their opposition to the proposed legislation clear. More than 200 corporate CEOs, led by tech giants like Facebook and Google, signed a letter along with LGBTQ advocacy groups calling for the repeal of House Bill 2 in North Carolina. In 2017, the bill was partially repealed primarily because of pressure from the NCAA, but the compromise left both sides unhappy. On International Transgender Day of Visibility (Mar. 31), a baby accessories store in Montreal underwent a name change in a similar spirit to Target’s policy change in 2015. 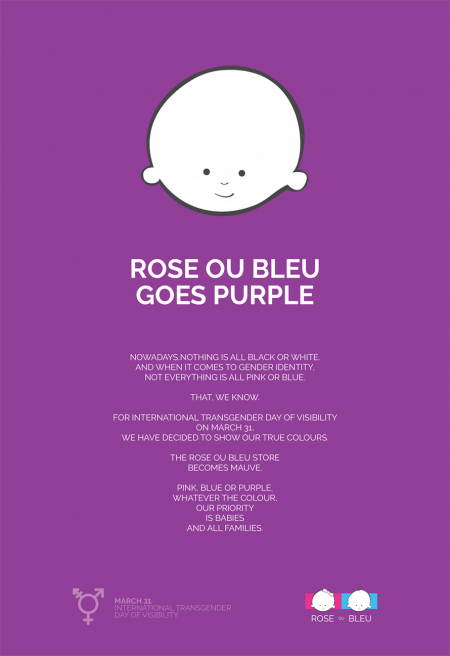 Rose ou Bleu, which translates to “Pink or Blue” in French, became Mauve (purple). The idea was conceived by the Montreal office of John St. to show that the either/or nature of the store’s name does not reflect the businesses’ stance on transgender issues. At first, the owners were hesitant—not because they didn’t want to support the transgender community in this way, but because they didn’t want to be seen as appropriating a cause for personal gain, according to Audet. To ensure the initiative would be seen as appropriate and not appropriation, they partnered with Aide aux Trans du Québec, a local transgender advocacy group. Julien Leroux, the president of Aide aux Trans du Québec, said the organization appreciates the attention the store is bringing to trans issues and does not see the temporary name change as self-serving.